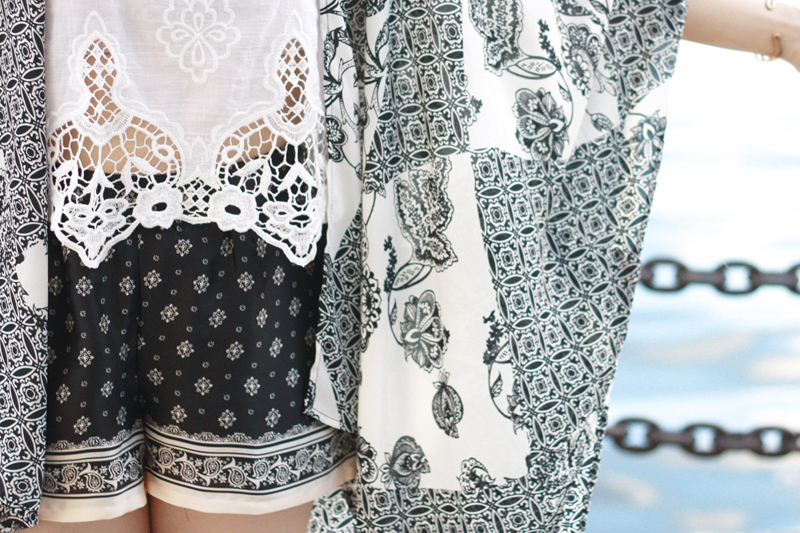 Black and white and vice versa, talk about mixing print! Unlike most outfits where there is usually a piece or two that really stands out, I love every single pieces I am wearing here. Lets start with the kimono, shall we? This kimono duster from Lulu*s has a gorgeous floral and tile-like motif, asymmetrical hem, and I love that it is dramatically flowy. I paired it with these silky paisley shorts with a similar yet different print. White and black to go with black and white because why not? I finished the look with a crop tank with crochet details, Lauren Merkin Stevie bag, and Jeffrey Campbell's Rumi. With a look like this, black and white will never look boring again! Kimono duster by Lush c/o Lulu*s.
Crop tank with crochet details from A&F. Silky paisley shorts from F21. 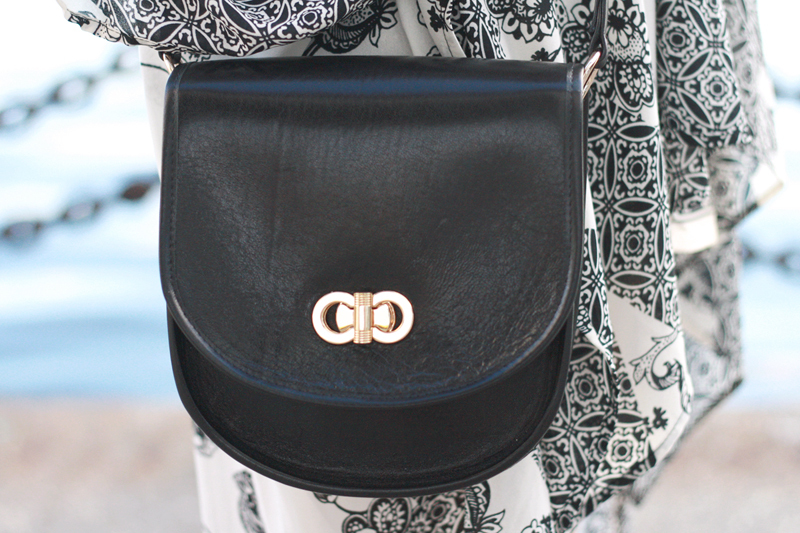 Stevie bag c/o Lauren Merkin. 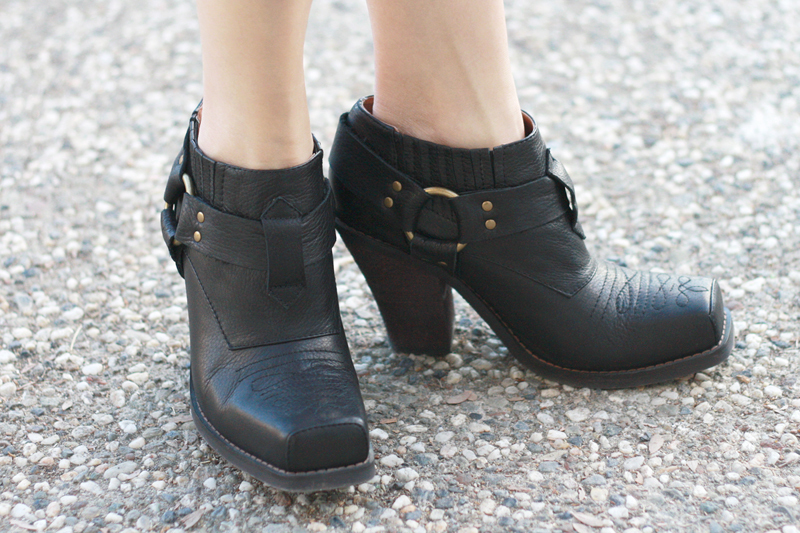 Rumi boots by Jeffrey Campbell from Miss KL. Double chevron cuff bracelet c/o Eclectic Eccentricity. Love this embroidered crop top. How do you always look SO perfect?! Gorgeous outfit! Very inspiring once again! Lovely :) I love your kimono duster! Always love your styling, gorgeous top and kimono duster!